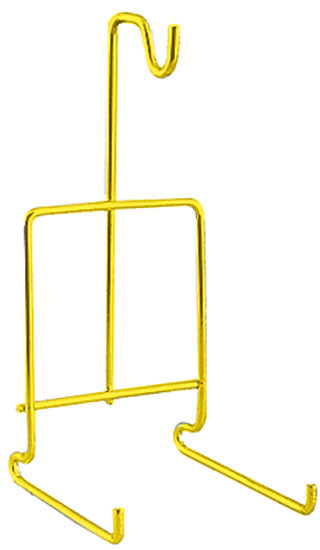 METAL CUP and SAUCER DISPLAY STANDS are the Perfect Way To Display Cup and Saucer Sets. Display Stand for Cup and Saucer Sets. Bright Brass Finish Resists Tarnishing. For shelf, counter or table display. Crafted from smooth rigid wire. Holds up to a 6-3/4" diameter Saucer. Stand is 2-1/2"W x 6-1/2"H overall. Cradle is 3-1/2" deep. Cup hook is 1-1/2" deep. Display Stand for Cup and Saucer Sets. Bright Brass Finish Resists Tarnishing. For shelf, table or counter display. Crafted from twisted rigid wire. Holds up to a 6" diameter Saucer. 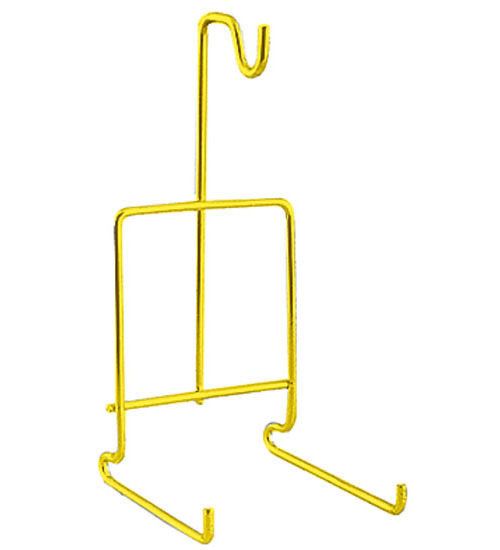 Stand is 2-3/4"W x 6-1/2"H overall. Cradle is 2-1/4" deep. Cup hook is 1-1/8" deep. Wall Display for Cup and Saucer Sets. Glossy Black Finish. 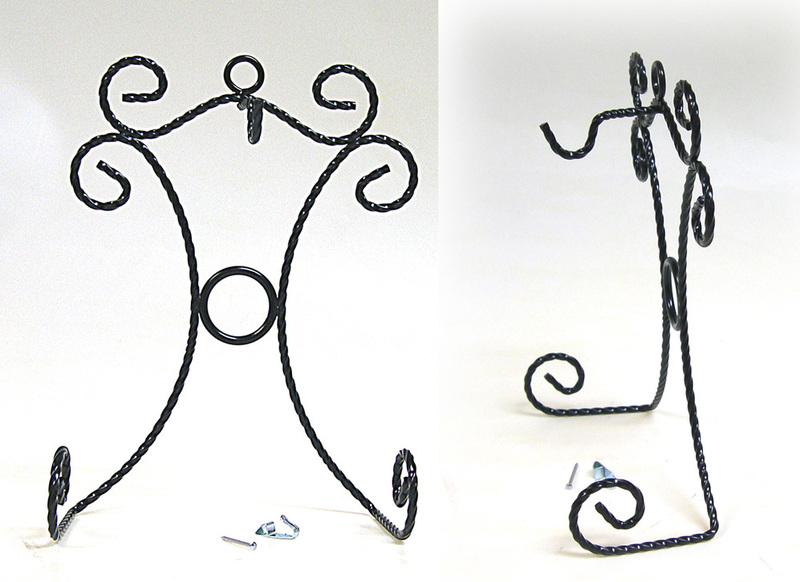 Crafted from twisted rigid wire. Holds up to a 7" diameter Saucer. Display is 5-1/2"W x 7-5/8"H overall. Plate cradle is 1-1/8" deep. 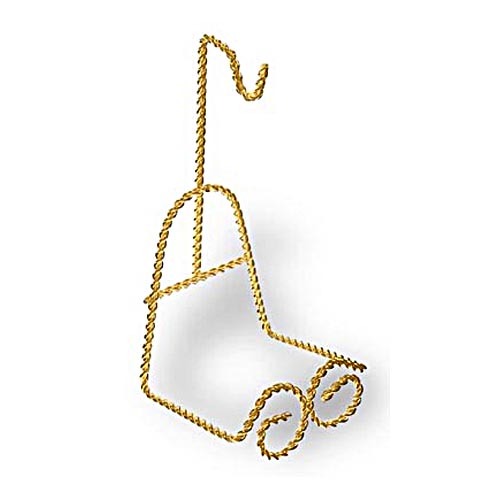 Cup hook is 1-1/2" deep and 6-1/4" from plate cradle. Includes wall hanger and nail.